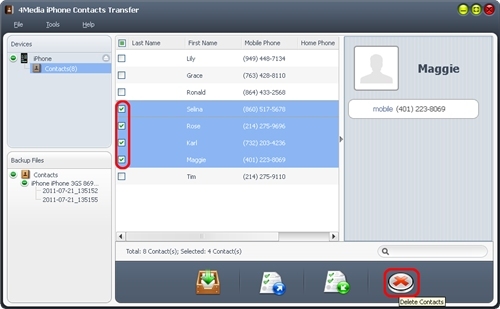 A full-feathered contacts backup tool for your iPhone, 4Media iPhone Contacts Transfer can satisfy all your management needs for your vital phone contacts: backup, transfer, restore and manage your contacts information effortlessly! 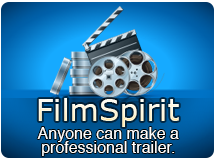 In general this article is divided into several parts as below. 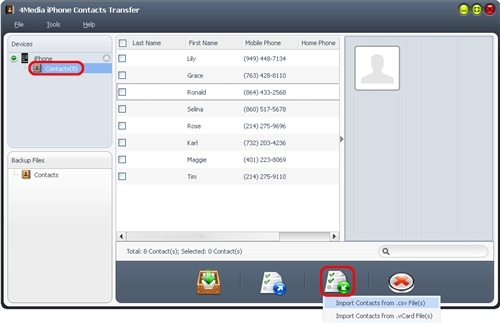 First, download 4Media iPhone Contacts Transfer, install and run it. 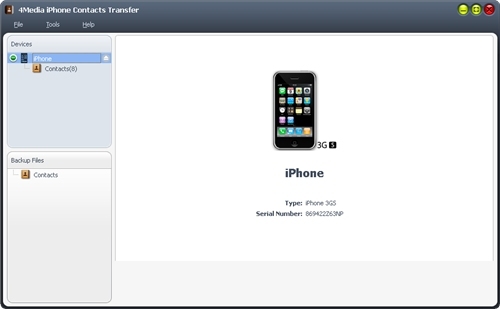 Connect your iPhone/iPad/iPod touch to computer, the application will recognize the device automatically and displays the device information in the interface. This program helps you to backup all contacts to local computer. 1. In the left directory tree, choose the "Contacts" which you want to backup contacts to local. 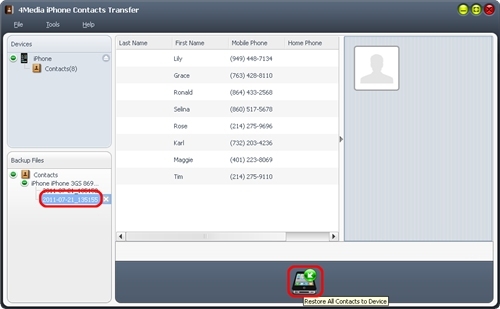 All contacts will be shown in the right list immediately. 2. Check the wanted contacts in the right list, click "Backup All Contacts" button at the bottom of the interface. 2. 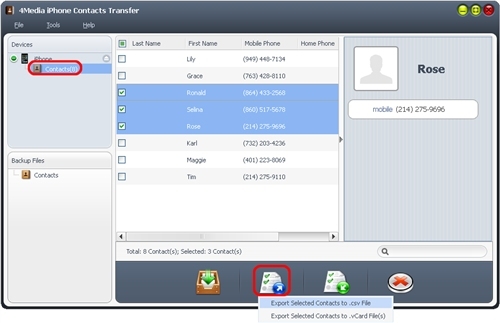 Check the wanted contacts in the right list, then click "Export Contacts to Computer" button, choose "Export Selected Contacts to .csv File" or "Export Selected Contacts to .vCard File(s)" option, and locate the target folder in the dialog box that appears, then start exporting. 2. 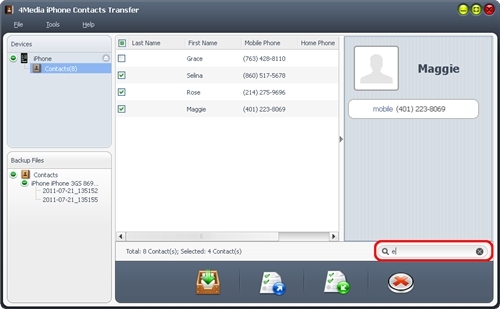 Click "Import Contacts to Device" button at the bottom of the interface, and choose the source contacts file in the dialog box that appears, then start importing. The program can bring all your contacts data back by restoration function. 1. In the left "Backup Files" area, choose the "Contacts" that you want to restore into your device. 2. Select a backup file in the left list, then click "Restore all Contacts to Device" button at the bottom of the interface, then start restoring contacts. In the left directory tree, choose the "Contacts" node to unfold the contacts list. Check the contacts in the right list, then click "Delete Contacts" button to delete unwanted contacts. 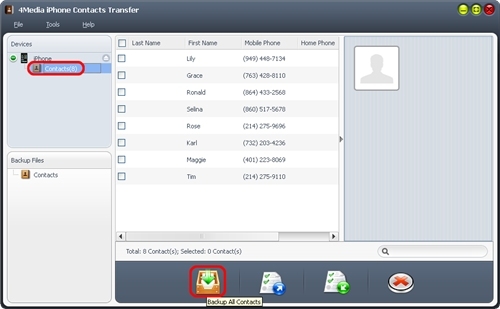 The program provides a quick search function to help you search contacts. You can search quickly the contacts you want by entering the keyword in the "Search" textbox, then the matched items will be shown in the list immediately.